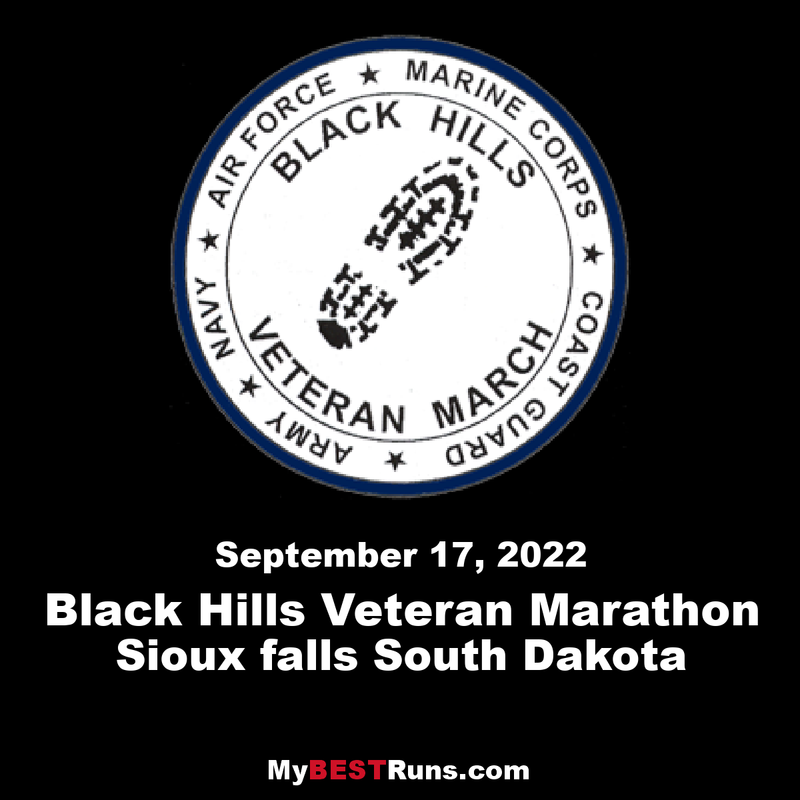 The Black Hills Veteran’s Honor March was conceived in 2002 as a way to honor the sacrifices of our nation's service men and women. The 26.2 mile march takes place in the picturesque Black Hills National Forest on the Mickelson Trail. The March is held yearly on a weekend at the end of September. The March, which is conducted under the auspices of the South Dakota National Guard Enlisted Association (SDNGEA), grew out an idea that originated from some South Dakota Army National Guard soldiers who had participated in the Bataan Memorial Death March. It was during the long ride home from White Sands, New Mexico that the idea of a commemorative march could be held to honor all Veterans, and that the Black Hills would be a perfect place to hold such an event. Since the Bataan Memorial Death March takes place in late March-early April, the consensus was that this new event should be held later in the year.